Editor’s note: This story first appeared in the April 2013 edition of The Lo-Down’s print Magazine. One of the things that makes New York City great is its classic neighborhood diners. On the Lower East Side, we’ve got our share of these old-school spots — places that are so familiar some of us think of them as extensions of our own apartments. In a world that’s becoming more impersonal, there’s something comforting about these no-nonsense hangouts. They’ll make you anything you want, exactly the way you want it, and fast! The guys behind the counter are quick to refill your coffee and will remember exactly how you like your eggs in the morning. You’ve got to admire their ability to handle just about anything, or anyone, and usually with a smile. 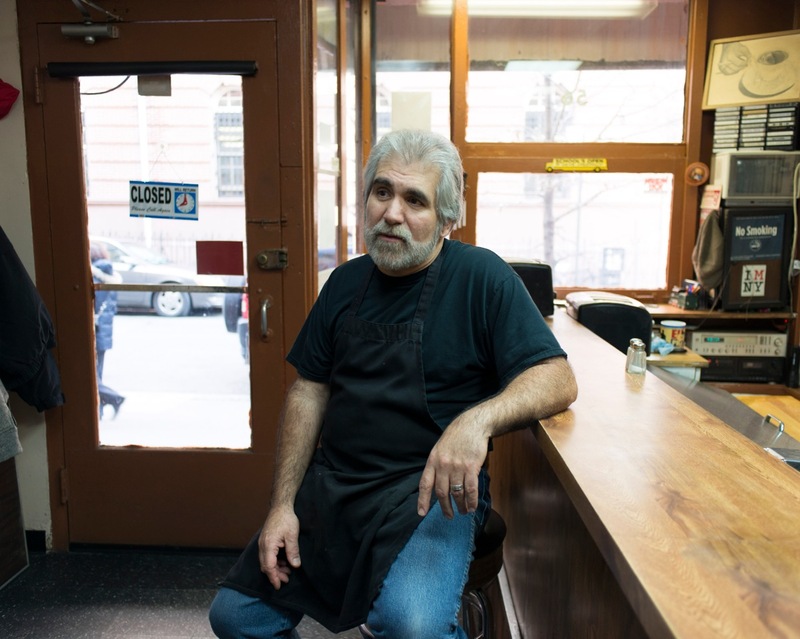 Teddy Vasilopoulos, owner of Everest Diner and Landmark Diner. 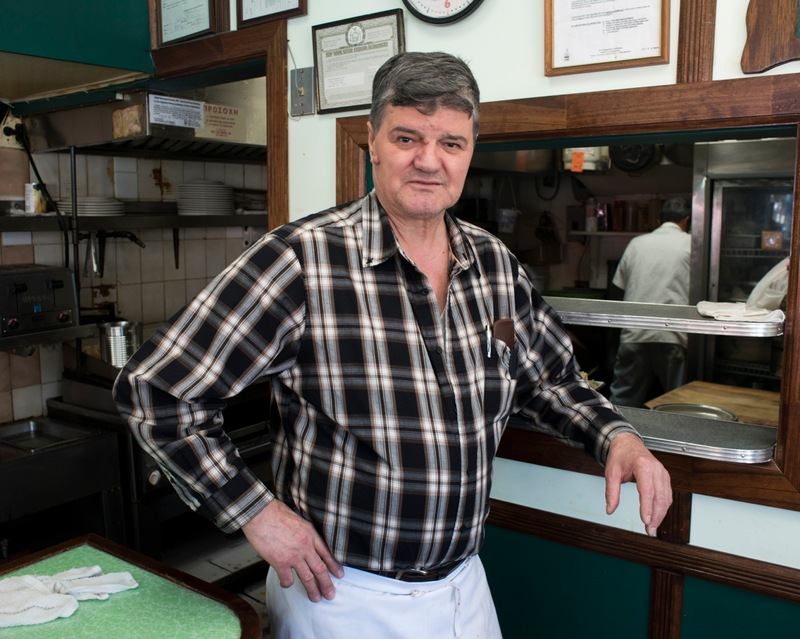 History: Vasilopoulos and his family have owned diners throughout the city since emigrating from Greece in 1973. (His younger brother John runs Cup and Saucer.) At this location since 2008, the diner was formerly a small luncheonette when he took it over. 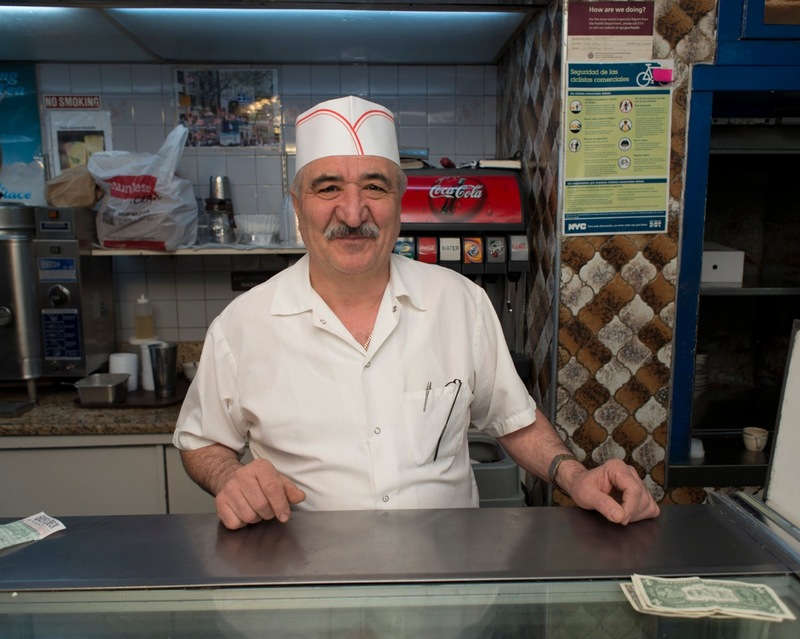 Vasilopoulos and his partner have also owned Landmark Diner at 158 Grand St. for the past 32 years. Their first diner was in the Chrysler Building, but rent increases quickly brought them downtown. Rent: Vasilopoulos is confident about staying on Chatham Square, saying he knows the landlord would be hard-pressed to find another tenant who’s so reliable. Carmine Morales, owner of Classic Coffee Shop. 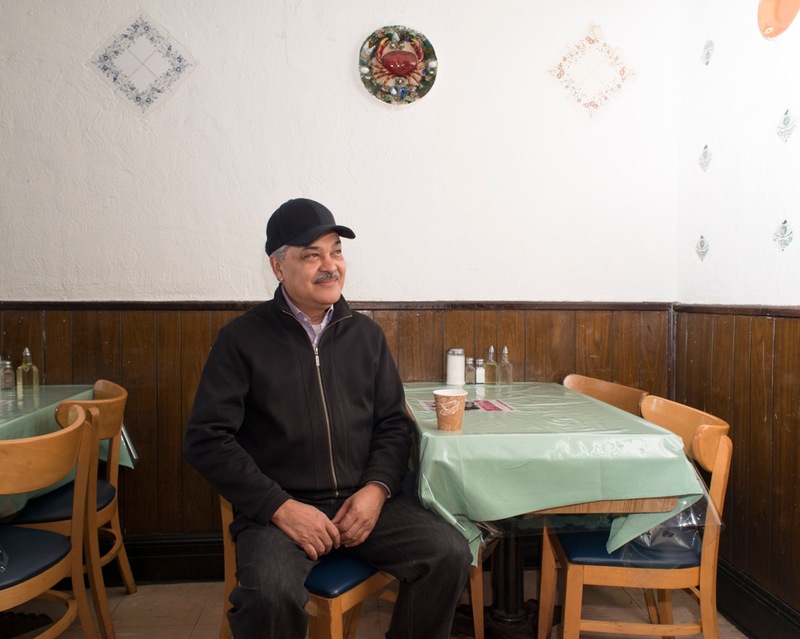 History: As the menu states, this place has been, “Serving Real Lower East Siders Since 1976.” Morales has lived in the neighborhood his whole life. He attended public school across the street. After emigrating from Puerto Rico, his father opened Classic Coffee 37 years ago. Carmine worked in the shop with his father and then took it over. Rent: It’s been pretty touch-and-go. The landlord raises the rent every few years and Morales is not sure he’ll stay open if it goes too much higher. The area around Hester Street is booming right now. Nodas Kekatos, owner of Zafi’s Luncheonnette. ZAFI’S LUNCHEONETTE – 500 Grand St.
History: Kekatos has owned the restaurant since 1978. He came to New York from Kefalonia, the “Paradise Island” in Greece. His son, Mike, took the lead about 10 years ago, but Nodas still works a couple of days a week. The original Zafiropolis opened the diner in 1948; there were two other owners before Kekatos took it over. Rent: It’s not a concern since Zafi’s is one of the few dining options on this part of Grand Street. The space is owned by the Hillman Cooperative, whose residents are some of the diner’s best customers. Luis Miguel Collado, owner of El Castillo. History: The place was a Chinese restaurant before he took it over in 1986. Collado came to New York in 1963 from the Dominican Republic. He owned a couple of restaurants previously, including Jagua Restaurant on Clinton Street, which was sold in 1977. That restaurant would later became the Spanish restaurant, Alia’s (long before what we now know as “Alias”). Collado opened the second El Castillo at 521 Grand St. in 2003. He built the diner from scratch and now his daughter, Yreinel, runs it. Rent: Collado is not worried yet. He has a long-term relationship with the landlord. Steve Palakas, co-owner of Olympic Diner. History: The place used to be a Jewish diner. Palakas came over from Greece in 1969 and took over the diner in 1980. Rent: Although the city is on the verge of demolishing the building, part of the Essex Street Market, to make way for the Seward Park redevelopment project, the owners are not too concerned. They’ve been hearing about the project for 40 years. John Vasilopoulos, co-owner of Cup & Saucer Luncheonette. History: The place has been open since 1940 and was always called Cup and Saucer. It was originally a Jewish luncheonette. They took it over in 1988 when the area was mainly made up of Jewish-owned jewelry stores. Then Chinatown began expanding in the last decade or more. Like his older brother, Teddy, who runs Everest, John is from Kalavrita, Peloponisos, in Greece. Nick is from Cuba. Rent: They recently renewed their lease for another five years but are worried about a steep rent increase in the future because the building recently sold. Nick Castanos, co-owner of Cup & Saucer Luncheonette. Love Cup and Saucer and Everest! Agreed! I also love the waitresses at Landmark.